It’s not been a secret that GM and Ford have both killed off their sedan lineups for the foreseeable future. Why then, would GM file a trademark for a name that signifies the boring, uninteresting, and often abused that have been among its vehicle lineups in history? It doesn’t seem to make much sense to think that we would want a car that had a history of being one that we looked at and agreed to buy simply because it fit in our budget better than any other mode that was on the lot. What do you think of when you hear the name Cavalier or Chevrolet Cavalier? While the medieval definition of the name offers us the thought of a marauder on a quest and the picture of the mascot for one of the most prestigious universities in the US, when you think of cars, it’snot a good picture. During its time in the market, the Chevrolet Cavalier was one of the top-selling models and it was part of the lineup from 1982 until 2005 to be a success for the Chevrolet brand, no matter how boring and beaten we made this car. The fact that Chevrolet will be without a conventional gasoline-powered sedan in the US market in the near future makes us wonder why the GM team would file a patent for this name. What’s more interesting to think about is the fact that GM filed this same patent back in 2015 but the request lapsed before approval took place. Why then, would GM file a patent for this name and give us the idea that the Cavalier could come back and be part of the lineup once again? Will the Name be Used Differently? It is possible that Chevrolet could use the Cavalier name for a subcompact crossover SUV that would fit below the Trax in the market. We’ve seen something similar with the Eclipse Cross from Mitsubishi which has confused us with its name but offers a drive that makes you look past that name. On the other hand, if the Cavalier is going to be used for a small sedan, why wouldn’t Chevrolet simply continue on with the use of the Cruze that we’ve become fond of during its time on the market? This seems to be something that would make more sense for the brand. 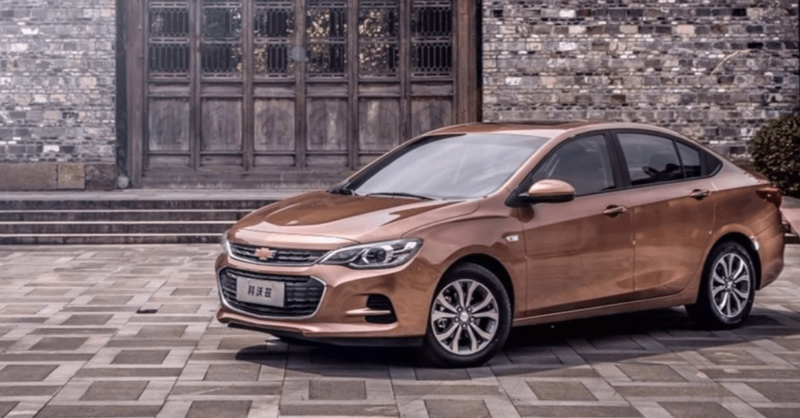 While we don’t drive the Chevrolet Cavalier in the US, this car is still offered in China, where it’s built, and it is exported from China to Mexico. This doesn’t explain why the brand needed to file with the US Patent and Trademark Office to reserve this name for the US market though. It might be a while before we understand or know what the plans are for the Cavalier name, but if the Chevy brand wants to bring back something that we’re glad is dead, the might want to work on bringing back an old disease such as smallpox as well. Find a vehicle at your local Chevrolet car dealer today!